Is this your first concern? For families relocating with children, one of the most significant factors to consider is where your child will go to school while abroad. This decision can have a major impact on your time abroad, as many expatriates plan their entire living situation based upon proximity to educational options. Selecting a school can be a lengthy, daunting process, and it involves sifting through a lot of information in order to make the best choice possible for your child. Fortunately, Living Abroad is here to help! It is helpful to begin the school search process by first getting familiarized with the local education system. Depending on your destination, the schools in your new home may provide an excellent opportunity for your child to experience a new culture, learn the local language, and make new friends abroad. Many parents may worry about the language barrier; however, it has been the experience of many expatriate parents that adaptation to the local school environment and language is much less difficult than anticipated—particularly for younger children. Another important factor to consider when researching local education is whether to enroll your child in a public or private school. In some countries, quality of facilities and instruction is consistent across both sectors, while in others it can vary dramatically. For families with older children or who will only be in their host country for a short period of time, international schools are a popular alternative to local schools. These facilities typically offer instruction primarily in English, and many require study of a second language as well. International schools are generally required to administer an internationally accredited curriculum, which streamlines the process of transferring from or back into the home country’s school system. 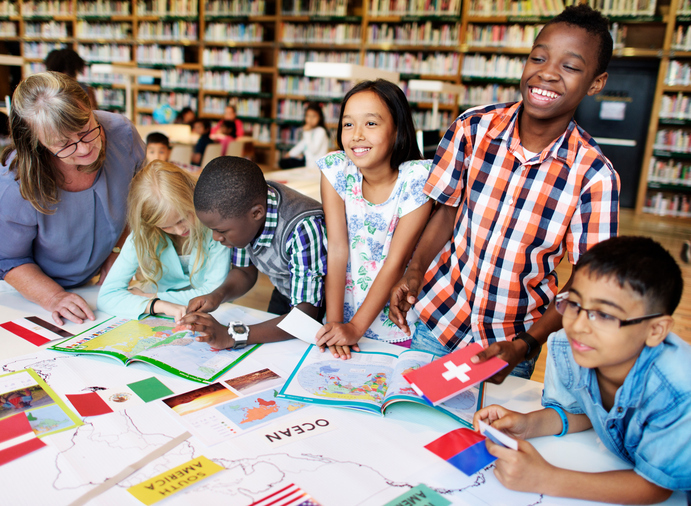 In addition to the curriculum, the teachers and students of international schools are often foreign nationals who have lived in a variety of countries, creating an environment that represents a wealth of nationalities, languages, and cultures. The International Schools Services offers a directory of international schools to help families make their decision and select the best school for their child. A third option for families abroad is foreign national schools. These facilities are similar to international schools, with the key difference that they are modeled after the educational system of an individual nationality. For example, a French international school will deliver instruction in French and offer a curriculum based on French educational standards. Such a school would be particularly suitable for French expatriates, as it would prepare them for studies at a French university. Most foreign national schools require prior proficiency in the language of instruction, and some may also offer bilingual curricula. Many foreign national, international, and private schools abroad offer the International Baccalaureate (IB) program. The IB Program is an internationally recognized and accredited course of study that provides a demanding curriculum encouraging critical thinking and research skills. Students pursue, in depth, several major areas, such as language and literature, social studies, and mathematics. The resulting IB diploma qualifies a graduate for admission to a European university, and possibly admission to an American university at the sophomore level. IB schools are therefore an attractive option for families—particularly those from Europe or the U.S.—whose children may wish to pursue higher education back home. There is often an overwhelming amount of information about educational options in your destination country, but Living Abroad is here to help speed up the process. Our Relocation Essentials—included in each subscription—features a Schools section, which provides an overview of the types of schools you may find abroad, as well as tips for selecting the best option for your child. Each individual destination report also includes a Choosing a school section that offers detailed, country-specific information on international schools, local school systems, and preschools, as well as links and contact information for schools in the area. Supporting your mobile workforce can be easy by subscribing to Living Abroad’s International Relocation Center, the Culture Coach Online, or the Global Business Travel Center. The International Relocation Center has 197 destinations to choose from and the Culture Coach Online, an online cultural learning platform, is available for 150 destinations. Both services easily link to your company intranet or relocation portal for access at any time. If you move employees around the globe, train them for greater success abroad, or manage business travelers, contact Living Abroad. With our 30+ years of experience, trusted information, and exclusive suite of innovative tools, we can help you be an invaluable resource to your company and colleagues. Give them local knowledge, globally. https://www.livingabroad.com/wp-content/uploads/2018/03/International_Schools.jpg 506 691 James Cafferty https://www.livingabroad.com/wp-content/uploads/2015/05/color2.svg James Cafferty2018-03-21 21:11:312018-03-21 21:11:31Is this your first concern? Protocol on steroids What’s in your wallet?